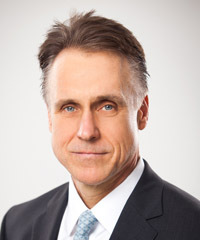 Stewart J. Martin – Dolasinski Miller Martin p.c. Mr. Martin practices in the business planning and transaction areas. His practice emphasizes the corporate, limited liability company, compliance and ethics, nonprofit and partnership law areas. Mr. Martin has significant experience in a wide variety of business transactions across diverse business industries, including business entity formation, organizational and governance structuring, acquisitions, dispositions, equity owner buyouts and dispute resolution transactions. Mr. Martin has been recognized as one of the Best Lawyers in America many years throughout his career and has an AV® Preeminent Rating™ by Martindale-Hubbell. Previously, Mr. Martin was a partner with the Honolulu law firm of Cades Schutte LLP where he practiced in the tax and corporate groups for over 15 years. Mr. Martin was a member of the Firm’s management committee and was selected as one of the Top 250 Hawaii Business Executives. He also was elected and served as the Chair Elect, Treasurer and Secretary of the Hawaii State Bar Tax Section. In addition, Mr. Martin previously worked as a tax accountant in the Washington, D.C. office of Ernst & Young where his practice primarily emphasized tax planning and compliance in the nonprofit, corporate and partnership tax areas. Cades Schutte LLP is one of the largest full-service law firms in the State of Hawaii and has represented many of the largest publicly-traded companies and landowners in Hawaii and throughout the Pacific Rim for over 80 years. Previously served as a member of the Board of Directors of the Cades Foundation which is a nonprofit charitable organization supporting the arts and legal profession. The KMR School of Golf is a nonprofit charitable organization based in Honolulu, Hawaii, which develops and trains junior golfers for national and international competition. Taught over 20 college business courses in the College of Business Administration at Hawaii Pacific University.